If you need surgery, you have come to the right place. At the Hackensack University Medical Center, we are dedicated to providing you with outstanding care. Our team of expert surgeons and staff applies their extensive clinical knowledge and technical expertise in a compassionate, caring environment. The latest technology and surgical techniques help ensure that you have the high-quality, coordinated care and the best possible outcomes. As the largest hospital in New Jersey, ranked #1 in the state, our team of dedicated surgeons and staff will ensure that you receive the highest quality care possible. Our specialty programs offer a multidisciplinary approach to the evaluation and treatment of a wide range of problems. To determine the best plan for each patient, our surgeons regularly consult with other care team members for their opinions and expertise. Welcome to the department of Surgery at Hackensack University Medical Center. The Department of Surgery, Hackensack University Medical Center, has a long and distinguished tradition of excellence. Our department stands upon three important pillars that together ensure that all patients receive outstanding and compassionate care. It is through outstanding patient care, advanced surgical education, and dedicated and innovative research that we provide you with the high-quality and compassionate care you can receive only in a world-class institution like ours. Every year, members of our team perform thousands of surgical procedures spanning the range from the more common to the very rare. This wide-ranging experience means that our surgeons are ready to perform even the most complex procedures. 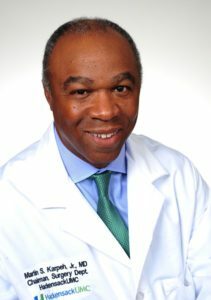 Our expert surgeons provide patient-focused, multidisciplinary care in many different disciplines, including robot-assisted heart and esophagus surgery, minimally invasive and laparoscopic procedures, advanced surgical treatment of pancreatic, liver, and upper gastrointestinal cancers, breast cancer, colorectal disease, vascular surgery, trauma, and metabolic and bariatric surgery. Working as part of a collaborative care team with referring physicians and always striving to maintain the highest surgical standards, the Department of Surgery is a resource for the community, the state of New Jersey, and the New York metropolitan area. And, as a top-tier teaching institution, we are committed to teaching the next generation of surgeons as an integrated member of Rutgers surgical residency program. Our surgeons are not only clinicians and educators, but they are also researchers. As physician-scientists, they are committed to bringing the latest in pioneering treatments from the lab to practice. We are excited about the surgery program at Hackensack University Medical Center because there are few places in our region that have the expertise and facilities. Our excellence is part of a long tradition of outstanding care and clinical expertise. Our excellence is not an accident. 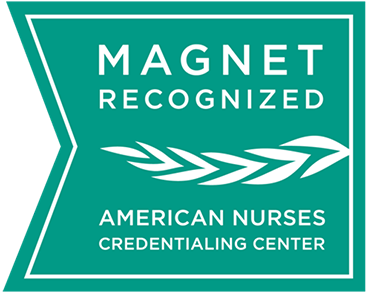 Hackensack University Medical Center nurses are dedicated to achieving excellence in patient- and family-centered care by providing the highest quality value-based service. They are also lifelong learners, community advocates, missionaries and mentors all within their area of specialty practice. If you are visiting for an appointment or to see a friend or loved one, be prepared. All visitors must obtain passes from the appropriate building's Lobby Information Desk. Visitor Parking services provides daily management of all parking garages and valet services at the medical center.